Two Chicks On Books: Daemon Invasion Street Team! Announcing Team Kitten! Daemon Invasion Street Team! Announcing Team Kitten! Ok guys we have our Daemon Invasion Street Team and we’re super stoked we have some great people!!!! 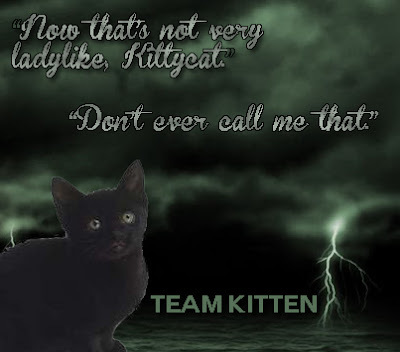 Ooh and we have our team name Team Kitten!!!!! The lovely Pam from Bookalicious made the cutest graphic for us. So let’s announce the team shall we? Here they are! We adore all of these ladies and are so excited to have them on our team! So go forth and blog stalk, and follow them on twitter they will have Daemon Invasion news too as soon as we get it!